Recently I wrote about half of the A-League and why they have a chance at winning the title. 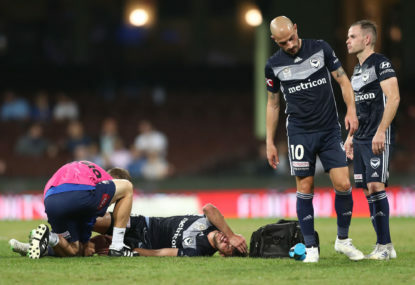 Here I will write about why the Newcastle Jets, Perth Glory, Sydney FC, Wellington Phoenix, and Western Sydney Wanderers can win the League – and why they can’t. Why they can win it: Their impressive midfield. 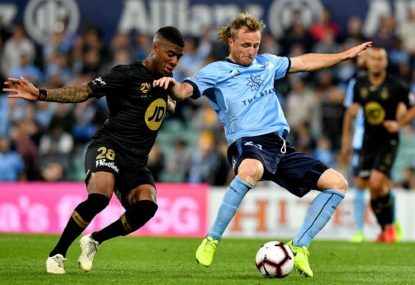 The midfield of Dimitri Petratos, and Steven Ugarkovic impressed last season, and Ronald Vargas, who was plagued by injury last year impressed with his passes and touches on the ball against Wellington last Sunday. Petratos is also a source for many goals for the Jets this year. They impressed last season and if those three can be fit and firing, they could be key to the Jets having any success this year. Why they can’t win it: Their attack. Last year they had Andrew Nabbout. He is no longer plying his trade at the club. While Roy O’Donovan is suspended for majority of the first part of the season. If they are unable to find a striker to regularly score goals, they could struggle in this first part of the year which could set their campaign up to be a failure. They will be relying on Brazilian attacker Jair, who will be needing to score regular goals while O’Donovan is out. Why they can win it: one man. 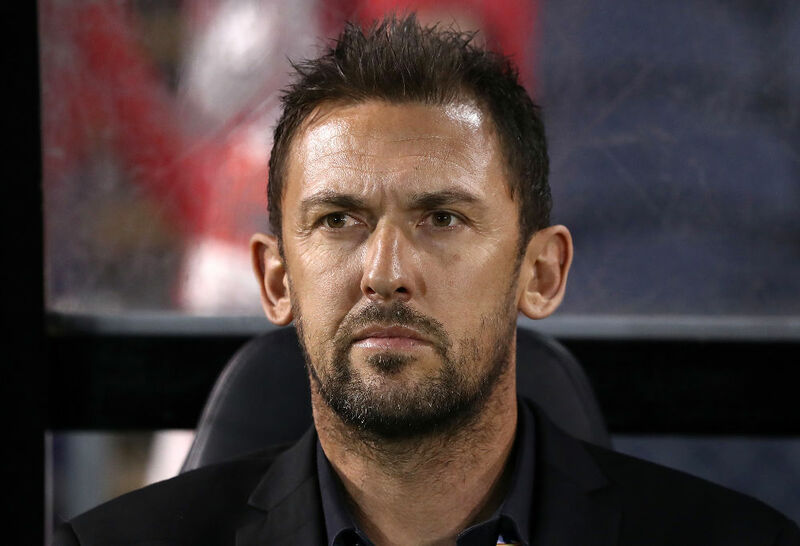 Tony Popovic. He is a man on a mission. Looking to bring Glory back to Perth. Excuse the pun. I couldn’t help it. 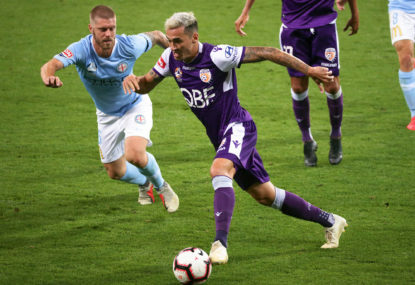 He seems to have brought a new culture to Perth, with bringing in players such as Ivan Franjic, Fabio Ferreira, Jason Davidson and former Wanderers players Matthew Spiranovic and Brendon Santalab. He looks to bring new attacking football to Perth, and many people see Popovic as rejuvenating the Glory and leading them to challenging for the title. Why they can’t win it: Their attack. One thing that Perth Glory are weak in seems to be their attack. Being led by striker Andy Keogh, he only had six goals last year, which will not be enough for the Glory to challenge. If the Glory are to succeed, he will need to score many more goals. Other attackers include the ageing Santalab and Diego Castro. While these two have been class players in the A-League whether they can still do it at the top level is a different question. Last year we saw Brisbane’s ‘Dads Army’ team where majority of the players were over 30 and were unable to keep up with the younger teams. 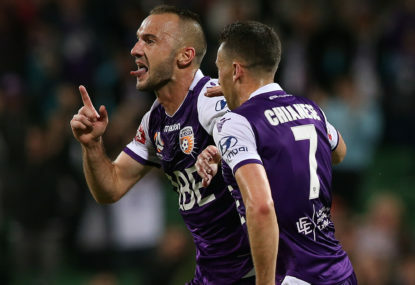 Now I am not saying Perth are the new ‘Dads Army’ but for Glory to succeed, they will need Castro and Santalab playing well and reguarly, regardless of their age. Why they can win it: Miloš Ninkovic, Siem de Jong, Adam le Fondre, Job van der Linden. These are the names of Sydney’s foreign imports and this is why they can win it. 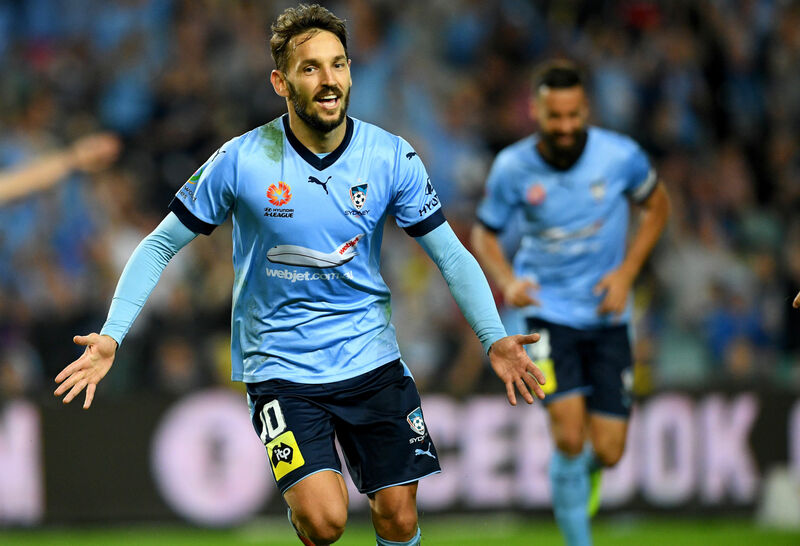 In preseason and in Round 1 against the Reds, le Fondre and Ninkovic have looked impressive. With le Fondre having three goals in five competitive matches already, and Ninkovic making many impressive runs on Friday against the Reds. If these four imports can be on form, than Sydney will be hard to beat and will once again be in that top two spot as they have been in the past few seasons. Why they can’t win it: I named those four players. Now I will name another four people: Jordy Bujs, Adrian Mierzejewski, Bobô, and Graham Arnold. Each were a pivotal part in why Sydney have had the success that they have had in the past two years. Each will leave a big hole in Sydney. Bobô scored 27 goals in the League last year. It will be a missing element of their play if they are unable to find someone to score as much as frequently as Bobô. Then former reigning Johnny Warren Medalist Mierzejewski. He was one of the best players in the League in recent years and losing him will be hard for Sydney to cover if they are unable to find someone to replace him. The coach. Steve Corica may have been the apprentice but can he become the master. Only time will tell and if he can’t. 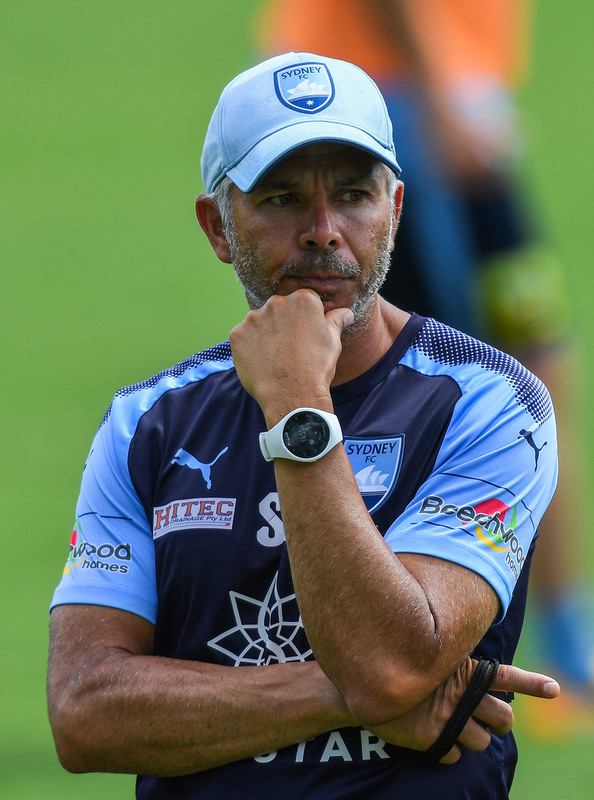 Could it be another case of a fantastic coach of Graham Arnold leaving the league followed by his replacement being replaced himself only a few rounds into the season. We saw it when Ange Postecoglou left Brisbane. Rado Vidosic was unable to replicate what Postecoglou did, and Vidosic was replaced a few matches into the season. Hopefully this is not the case for Corica. Why they can win it: the new culture. Under Mark Rudan, it looked like a new Wellington playing the Jets on Sunday. I’m probably among many others who believed that Wellington would lose that game but credit to them they attacked and were very good, though they may of luckily got the win due to VAR but everyone has their views on that part of the game. They boast a backline of Steven Taylor and Alex Durante who both impressed on Sunday. In midfield the young Sarpreet Singh played very well and was unlucky to not get that goal. Roy Krishna up top who was unlucky not to get more than just the one. They look like they could push Wellington to their first finals appearance since 2015. I think it is also important to look at the depth of their squad. The squad on Sunday kept out players such as Nathan Burns and Mitch Nichols, two players who you would expect to make their best eleven. If the club can remain this consistent they could possibly be an underdog this season. Why they can’t win it: there are numerous of factors that have caused Wellington to fail in previous seasons. The traveling, the players they lose on international breaks, and the constant change at that club. Since 2013-14 Wellington have never had a consistent squad or coach. They have had changes in coaches and players. This year they had 12 players leave the club and ten join plus a change in coach. Now change can be good, but since 2015/16 Wellington have always lost and gained around 10 players each season plus a different coach. 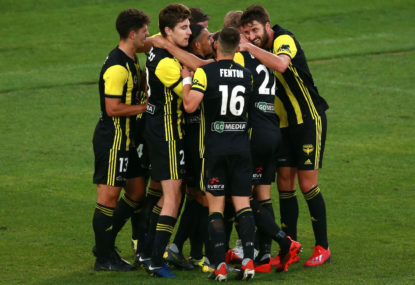 For Wellington to bypass what has hurt them in the past they will need to play consistent football, listen to coach Mark Rudan and stick together for seasons to come. Successful teams like Sydney in the past two seasons had practically the same squad which helped their chemistry and consistency. Hopefully Wellington can try can replicate this and become a strong team in future years. Why they can win it: they are a tough team to write about the Wanderers. You never know what you can expect. They have been top, been bottom and been in the middle all throughout the past few seasons. But, two players that will help is Oriol Riera and Alexander Baumjohann. Riera is a fantastic striker and last season proved his worth with 15 goals in the league. If Baumjohann can help Riera and form a partnership, Wanderers will have found themselves a duo that will give them a mountain of goals if they can work together. Why they can’t win it: Inexperience. The Wanderers have many young players under the age of 23, which can set up a solid foundation for the future. But it could also be what creates their downfall. Jordan O’Doherty, Ruon Tonyik, Lachlan Scott are a few of the bright young players down at Wanderland. But, if the inexperience plays a part in their downfall, then they will struggle against experienced teams like Sydney FC. 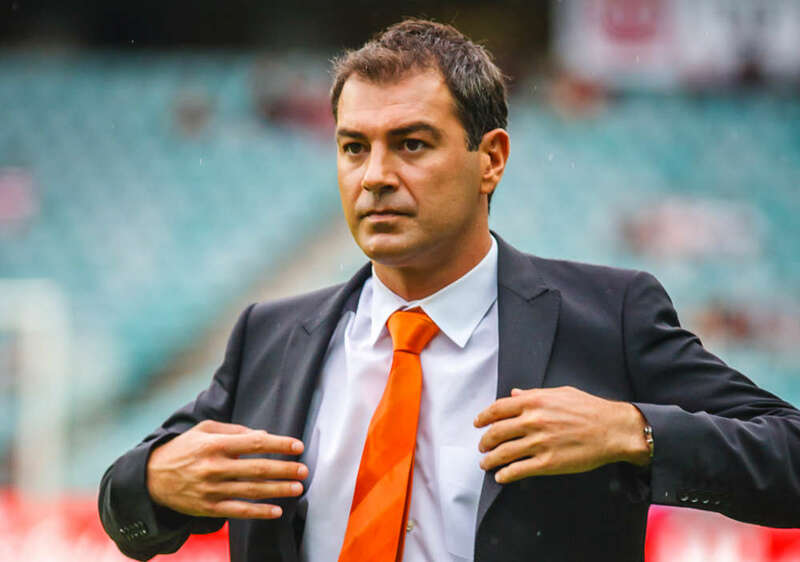 It will be up to experienced players of Riera, Brendan Hamill, Vedran Janjetovic and Role Bonevacia to lead this team, help the youngsters and make sure that inexperience of certain players is not what makes the Wanderers have a unsuccessful year. Round 2 will be exciting. Will Adelaide’s attack score against the Jets? Will the Mariners live up to the preseason hype and cause an upset at home to City? Will Brisbane’s attack work against the Phoenix and set up a successful year? Will Honda and Toivonen create an attacking partnership which will punish teams? And the biggest question. Who will win the Sydney derby? All questions we may find out answers for in this next weekend. It will be an exciting round.